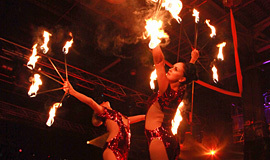 Introducing some of the most talented showgirls, cirque acts and extreme performers in the UK from aerial and ground based, to fire and contortion. As one of the UK’s leading entertainment agencies, United Productions represents many of the world’s most talented cirque acts, showgirls and performers including acts that have performed and toured worldwide with the Cirque Du Soleil. 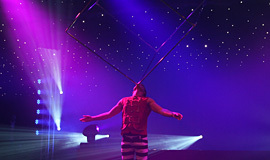 We specialise in providing the highest level of circus-themed entertainment for almost any event imaginable, ranging from corporate events and company fun days through to gala dinner shows and parties. 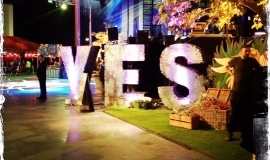 We’ve supplied full show creative concepts to standalone acts for many major brands including Renault, Locog, Virgin Holidays, Warner Music International, Ernst & Young, Living TV, Freshfields, Adobe, Reed, Superdrug, Tesco, Bourne Leisure and The Policeman’s Ball. Our knowledge and expertise ensures your chosen cirque acts are choreographed to your exact requirements, to produce a stunning performance! Contortionists, hand balancers, fire eaters, stilt walkers, aerial silks, adagio acts and aerial acrobats are just a few of the amazing acts that we are proud to be able to offer; a line-up that’s guaranteed to steal the show. For years, United Productions has supplied showgirls who have entertained worldwide, bringing glitz, glamour and total entertainment to any event. We are undoubtedly the leading showgirl supplier in the UK. With over 40 beautiful and professional showgirls and acclaimed dancers on our books, they are a must-have for any casino, hotel or corporate event. Our showgirls create a ‘wow’ factor; posing for photos on the red carpet, meeting and greeting your guests on arrival and assisting with a full champagne service, through to full-scale cabaret performances, theatre and creative productions, with many different themes. Whether you book two girls or twenty, you can expect nothing but the best with our stunning dancers, costumes and choreography. Our showgirls create a ‘wow’ factor; posing for photos on the red carpet, meeting and greeting your guests on arrival and assisting with a full champagne service, through to full-scale cabaret performances, theatre and creative productions, with many different themes. Whether you book two girls or twenty, you can expect nothing but the best with our stunning dancers, costumes and choreography.